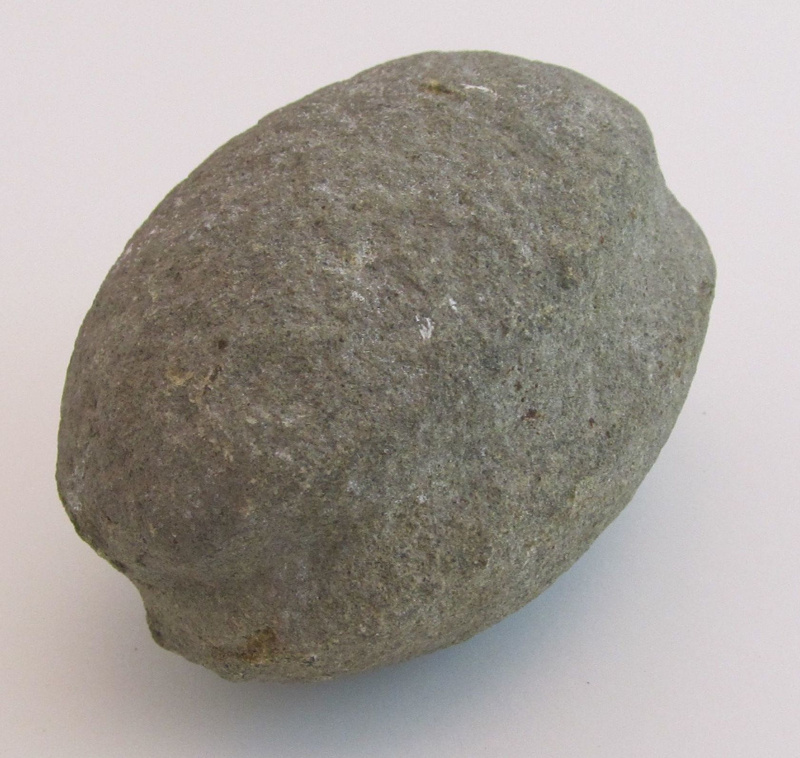 Grey stone, possibly sandstone. Oval in shape, a deep grove has been shaped around the centre axis of the māhē. It would have been used a with fishing nets as a weight. Found on Moeraki Beach by Mr Dewe.